The 2 bedroom apartments at Parkside are conveniently located within walking distance of the Parramatta city centre, which is 23 kms west of the Sydney CBD. With the Homebush Stadium, Parramatta Railway Station, local shops, clubs, restaurants and cafes close by the Parkside Apartmetns Parramatta is the ideal accommodation for both business and leisure. Stay longer and pay less. 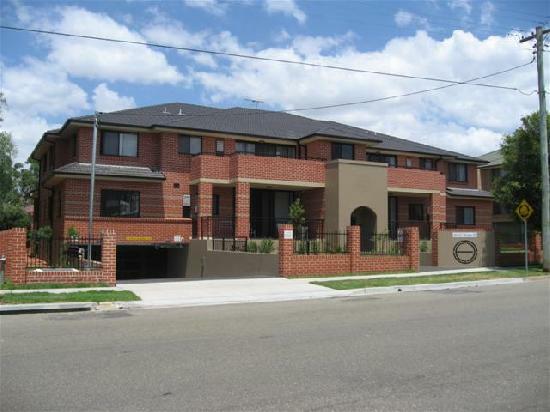 All types of travellers can take advantage of the discount accommodation at the Parkside Apartments Parramatta, as well as the range of modern amenities including direct internet access, free car parking, guest laundry, airport shuttle and baby cots available. These new apartments are modern and spacious with fully equipped kitchen and laundry facilities, air-conditioning, TV with DVD player, telephone and servicing weekly inclusive of all linen and towels. The area surrounding the Parkside Apartments in Parramatta contains Animal parks, National Parks and Picnic areas, many shops and restaurants, Homebush Stadium and river catamaran to the Sydney CBD. Parkside also offers a Airport Limousine Service. Nearby Attractions : Things to do and see in Parramatta include Shopping and duty free stores, Cafes and Restaurants, Nightclubs, Pubs and Clubs, Cinemas, Riverside Theatre, Parramatta Stadium, Nine hole course, A relaxing stroll through Parramatta Park, Visit Brislington Museum built in 1821, See the first experimental farm cottage, The Parramatta Explorer, visit 10 historical sights in Parramatta, Westmead Hospitals and the River Cat ferry to Sydney. 2 Bedroom 2 Bathroom Apartment : Sleeps up to 5 guests on 1 Queen & 2 Single Beds + Rollaway Bed Extra. 2 Bedroom Parkside Apartment : Sleeps up to 5 guests on 1 Queen & 2 Single Beds + Rollaway Bed Extra.